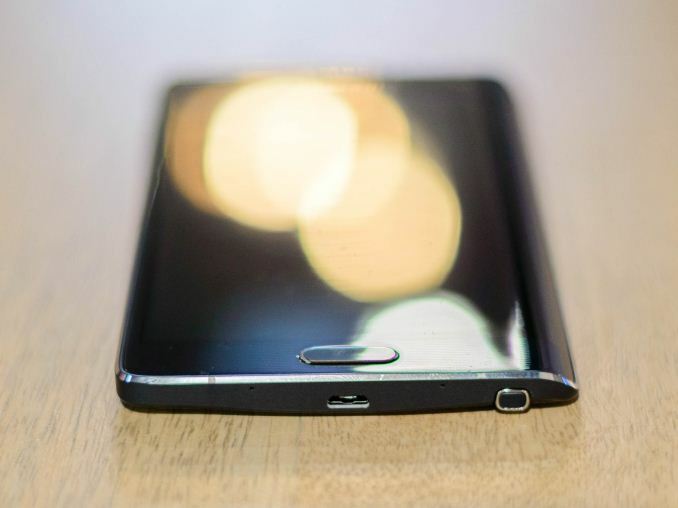 Following on the heels of the Galaxy Note 4, Samsung is also announcing a new product named the Galaxy Note Edge. In terms of basic hardware, not much changes. Same fingerprint sensor, same SoC, same RAM, camera, battery, etc. The one fundamental difference is that the display has a curved edge similar to the patent depictions. Samsung is pushing this as a secondary display of sorts that allows for more information to be shown along the curved edge without disrupting the rest of the content on the display. This is done by extending the display by an extra 160 pixels in width. I've included a spec sheet below to show the rest of the differences between the Note 4 and Note Edge. If by any chance this reminds you of the Samsung Continuum, a variant of the Galaxy S exclusively on Verizon, you would be right. However, unlike the Continuum, this has been achieved by curving the AMOLED panel onto the side of the phone instead of putting another display beneath the primary display. This also has a few implications for ergonomics. For example, the power button is relocated to the top of the phone. While I'm normally not too stringent on top-mounted power buttons, this move felt like a major step back for ergonomics. While it's going to take a full review to really know whether this is a problem or not, my first impression was that this would make it harder to recommend the Note Edge over the Note 4. However, there are a few things that Samsung got right with this phone. For one, palm rejection is incredibly well-implemented. Even though I had my palm solidly on top of the display, I didn't see any touch events occur. 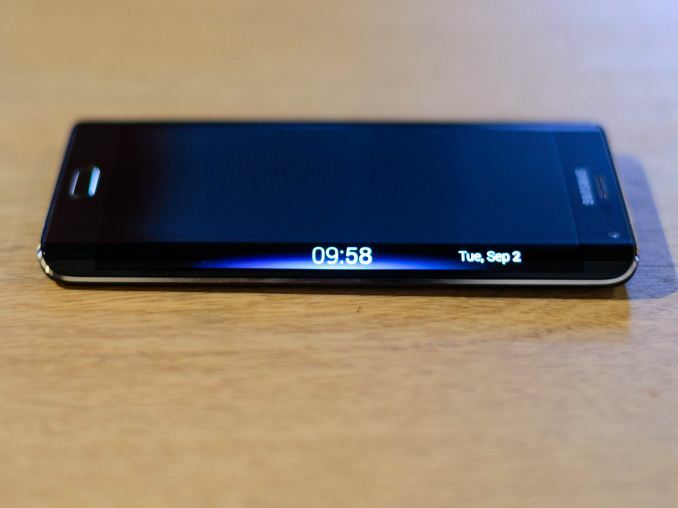 The side with the curved display also feels incredibly thin, and seems to disguise the actual thickness of the device. In practice, the display doesn't really seem to have much area, and tapping shortcuts and other objects on the sidebar tends to require a bit more precision than what I'm used to. For the most part, the use cases are largely similar to what we saw in the Continuum as well. Live news feeds were one possible use case, along with Twitter feeds and Facebook status updates. The other uses that were available included placing camera controls on the curved area to make the viewfinder larger, notifications while watching movies, and some quick tools such as a flashlight or ruler. The curved edge can also serve as an alarm clock. Overall I found it hard to see any particular killer app, but it may be useful to some. 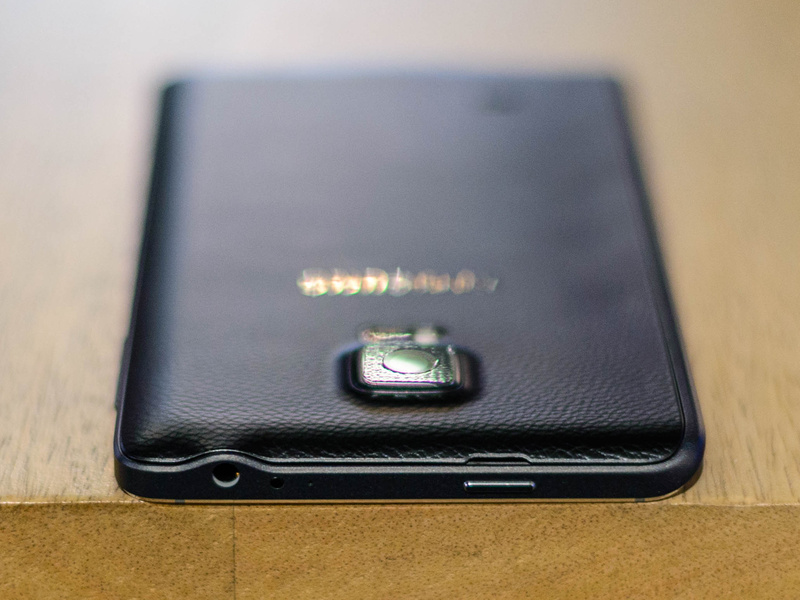 To me, the Note Edge doesn't really seem better than the Note 4, just different. 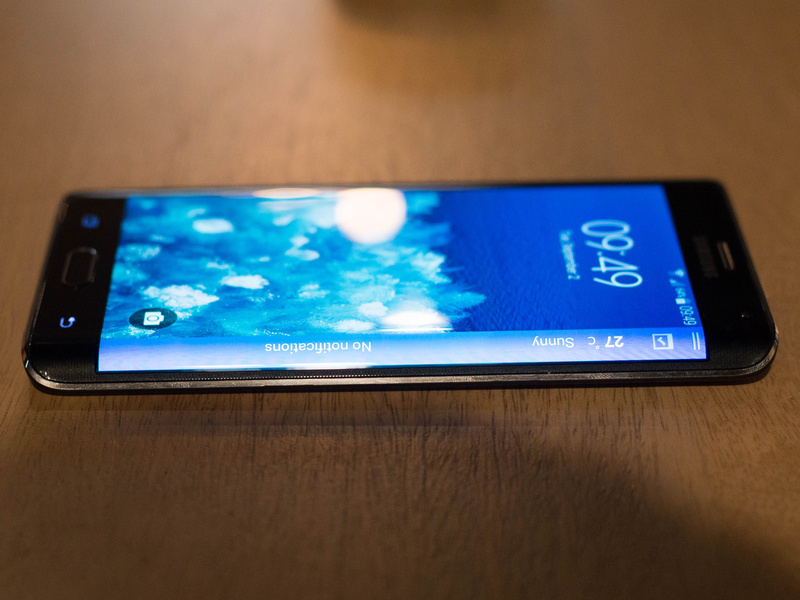 The Samsung Galaxy Note Edge will be available later this fall on AT&T, T-Mobile, Sprint, and Verizon. It will come in either Charcoal Black or Frost White in other select markets. lol took me a while to notice that the screen is curved only on one side. It's so pointless to do it that way. Wasn't too pleased with the mild curvature but it was exciting enough, now realizing that it's only on 1 side, it became just a failed effort. The main goal was to reduce bezels not add gimmicky functionality and they achieved the opposite by making it bulkier. Not really, we have fewer and fewer buttons and some can go on the back too. Also as the article points out the power button moved up not on the other side. The asymmetrical design ruins the looks too and adds the left handed/right handed problem, complicating things. If they could only curve it on one side (for whatever reason), they would have been better off doing it on the vertical. At first i thought that ,if priced well enough, they could sell 5-10 millions this year and would kinda save their bacon but with one side only just don't see a point in it.